Lighting has been one of our principal innovative sectors since the beginning of our activity in visual identity and signage. To continue the development of quality lighting we have created WINDAUGA, a new concept where the objective is to ameliorate the quality of life in closed spaces with no view of the outside (housing, hospitals, office buildings…). WINDAUGA is a brand of simulators of the exterior that provides a sensation of access to natural lighting. The product combines an LED light source, 3D image and the adjustment of the light that follows time scenarios. 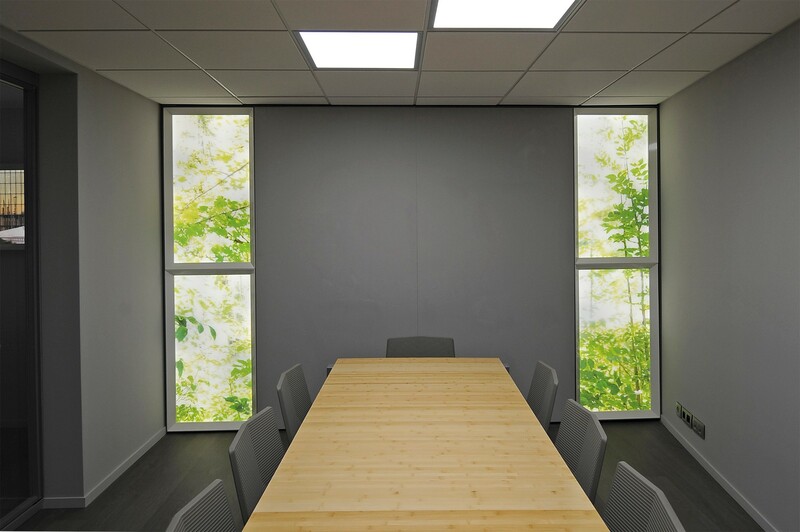 WINDAUGA can be mounted on the surface, encased in a wall or integrated in a suspended ceiling with the help of a system that hides the electronic components. The choice of the image is either selected from a photo catalogue or exclusively created by a designer.